LOS ANGELES Lenders stepped up action last month against homeowners who had fallen behind on their mortgage payments, taking possession of more homes and initiating the foreclosure countdown clock on many others. Completed foreclosures jumped 11 percent nationally in May from the previous month, with monthly increases taking place in 33 states, foreclosure listing firm RealtyTrac Inc. said Thursday. The monthly pick up reflects a rise in homes entering the foreclosure process last year. Many of those homes wound their way through the often lengthy process and ended up becoming bank-owned properties. Home repossessions, however, were down 29 percent from May last year, reflecting the long-term downward trend. Banks also started the foreclosure process on more homes last month. Foreclosure starts rose 4 percent from April, but were down 33 percent versus May last year, the firm said. The increases come as the U.S. housing market continues to gain strength, propelled in part by growing demand for homes at a time when there's a thin supply of available homes for sale in many markets. That dynamic has helped push home prices higher. They climbed on an annual basis by 12.1 percent in April, the biggest gain since February 2006, according to data provider CoreLogic. The combination of a tight inventory of homes for sale and rising prices makes for an opportune market for banks. "Home prices are rising and demand is stronger, so they can recoup more of their losses when selling a bank-owned home, and in most cases should be able to sell relatively quickly," said Daren Blomquist, a vice president at RealtyTrac. The prospect of more bank-owned homes hitting the market also is good news for homebuyers struggling with the short supply of available homes. But not so great for homeowners, Blomquist said. "For homeowners who are current or own their homes outright, this could slow down the recent rapid rise in home price appreciation, which could mean the value of their home does not go up as quickly in the short term," he said. That's an unwelcome development, particularly for homeowners who are underwater on their mortgage, or owe more than their home is worth. As of the end of March, 19.8 percent of all U.S. homes with a mortgage were underwater, according to data provider CoreLogic. Rising home prices have helped drive that number down from 21.7 percent at the end of last year, and returned roughly 850,000 homes to a state of positive equity in the first three months of this year. All told, 38,946 homes were taken back by lenders last month. Repossessions increased on a monthly basis in 33 states, including North Carolina, Oregon and Wisconsin. At the current pace, the nation is on track to finish the year with about a half million completed foreclosures, down from 670,000 last year, Blomquist said. 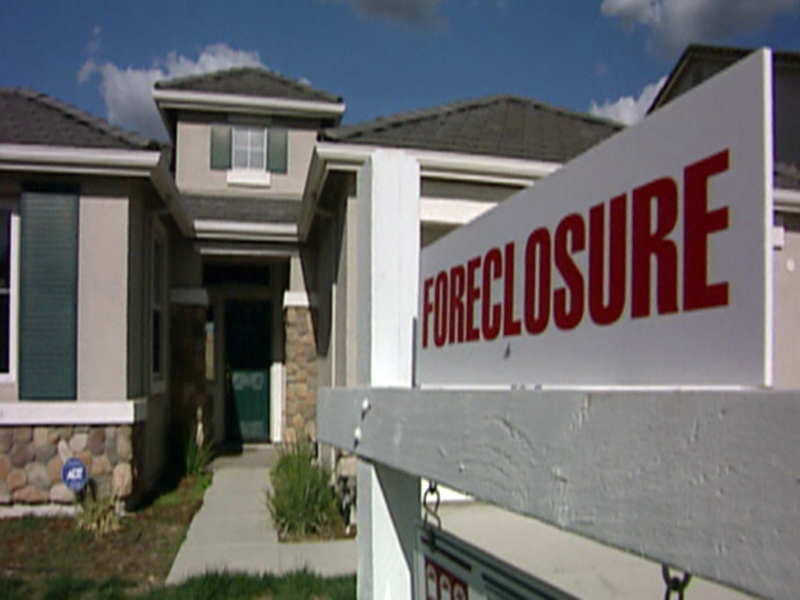 Foreclosure starts totaled 72,698 homes. They increased on a monthly basis in 26 states and rose on an annual basis in 14 states, including Maryland, Connecticut, Hawaii and Arkansas. Florida led the U.S. last month with an overall foreclosure rate nearly three times the national average. Rounding out the top three were Nevada and Ohio.